A Collaboration Software is responsible for enabling the process of sharing, processing, and managing files, data, and various other kinds of documents among a number of users or various systems within the same organization. This software permits more than two remote users to work on a particular project or task in a joint manner. Collaboration software is also referred to as collaborative software. Online collaboration software is designed for enhancing the productivity within a team and also within the organizations. This can be achieved as a result of the management capabilities and the processing of the coordinated tasks that are provided by this program. With the help of the software, users have the opportunity of creating a workspace and they can also add data or workflow to this workspace. The workspace can not only be viewed but also accessed by the other users. 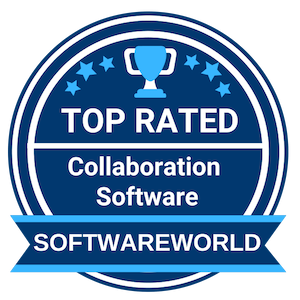 Given below is a list of the top 10 collaboration software brought to you by SoftwareWorld. What are the Best Collaboration Software in 2019? About Basecamp : Increase accountability, communicate efficiently and keep everyone in the loop with Basecamp; it is project management and team communication software where the user can see exactly what needs to be done and when; the user can communicate around tasks and share new ideas faster with higher transparency. It’s a single source to maintain messages, files, to-dos, and timeline. This is the best online business collaboration software for enterprises and small businesses. “It’s simple interface makes managing multiple projects a dream. As a Marketing Manager, I’m over seeing everything from product launch to creative development. I have a larger team working on a broad array of projects. Basecamp let’s me go in, add tasks, easily check progress and get updated on everything..” – Joel T.
About Confluence: Work together on whole new level with Atlassian Confluence; its leading team collaboration software where the business team can create, share and collaborate on projects faster. Basically, it’s content collaboration software which one works for project collaboration, knowledge base, and team documentation. The user can comfortably publish, organize, and access company information in one central location through Atlassian Confluence. The user can capture, store and grow the team’s knowledge through the software. “The best tool to organize your team and project documents. This tool is so easy to use and search. It is better than SharePoint. A space can be set up for your team and company – you can create as many as you want. child pages are the create in a tree structure. this pages can be customized and used in multiple ways.” – Susan R.
About Wunderlist : This software allows users to share to-do-lists among team; the user can set reminders, and add notes through Wunderlist. It offers the easiest way to get stuff done. The user can plan their personal and professional work through the software. It offers the way where you can collaborate on projects with your team members and friends. This software is available for iOS, Android, iPad, Mac, Windows, Kindle Fire, and web. The user can also print their to-dos and list with just one click. “Tasks and note taking apps are all over the web and on mobile world, but Wunderlists has a pretty good set of options that I have not found on other apps. First of all the posibility of tasks editing directly on your phone or tables, editing online and even downloading the desktop app for full crossplatform productivity. 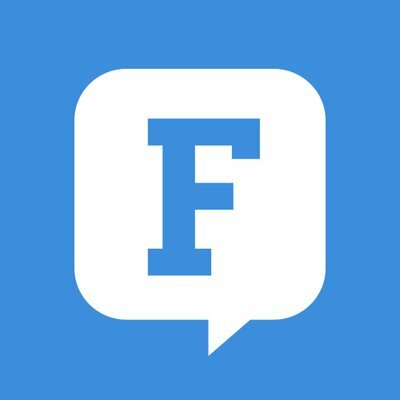 ” – Edgar R.
About Flock : Work better with Flock’s project management apps; Flock is team messenger and online project collaboration software where user bring their team together, easily find shared information, conduct virtual meetings with video/audio calls and much more for effective team collaboration. Through Flock, the user can discuss projects, share ideas, and make the decision faster. It’s the best software to increase business productivity. “Extremely easy to use, we are using it for our entire GeeksPerHour team. We love the user interface. It is extremely easy to use. The another thing I loved about flock is that we experienced zero bugs in our use so far! Easily able to manage my team remotely.” – Sudesh Agrawal G.
About Samepage : Improve team collaboration with Samepage; it’s project- collaboration software accessible through any device. Samepage offers award-winning team collaboration features where the user can find team chat, video conferencing, file sharing, task management, real-time document collaboration and much more. It’s all-in-one team collaboration software for online project management. The user can also keep track of important events and task deadlines in calendar view. “This has been a great tool to collaborate, share knowledge, manage projects, stay on track and accountable. Absolutely love it. For a team page to communicate and stay in touch on a shared project and goal it’s outstanding. The interface is simple to use and really Blown Away by the Features and Value” – Warwick B. About Zoho Connect : Zoho Connect helps businesses by uniting users, resources and apps they need. It allows sharing of ideas, enables users to contact anyone in the network, create personalized apps, build their knowledge base, connect with their colleagues and disseminate information. Top features of this solution include comments, voting, discussion boards, brainstorming, synchronous editing, etc. It allows teammates to have faster communication with better collaboration, increasing productivity and efficiency of the team. “We use Zoho Connect as intranet for the company and extranet for our clients. We like the way we can publish information like a timeline, all the internal communication is now based on Zoho Connect. It reduces the mail usage inside the company.” – Julien Grandjean. About Wrike : Wrike, Inc. increases the efficiency of work of any organization. Being a fast-growing private corporation, it has a stable annual growth and diversified customer base such as PayPal, Hubspot, Google, etc. It’s the first choice of Fortune 500 companies. It comes with enterprise-level security, scalability, stability, along with features like Gantt charts, Custom Dashboards, Calendars and many other, making it the most sought-after software in the IT management software industry. 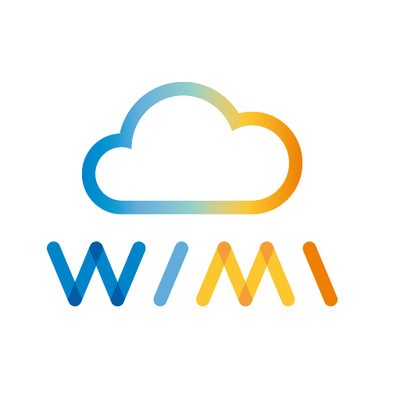 About Wimi : Bring your team, projects, and data together with Wimi; it’s a cloud-based online team and project collaboration software where the user can find effective team collaboration features like audio/video conferencing, chat & messaging feature, content management, document management, task management, project management features and much more. The user can use Wimi for the multi-project management and it’s also easy to use software to share documents with customers. About Fleep : Contact anyone, anywhere and on any device with the multi-platform application; Fleep is communication software where the user can get flexible messenger that integrates with emails and he/she can easily share files through Fleep. This software is a helpful platform to improve team communication level and task management feature. Team chats, project communication, and one-to-one conversion really improve team collaboration. “Best possible choice in many cases. It has everything that is needed. What makes it clearly the best possible solution and my favourite is the fact that in almost every project group there is one or two “luddites” that are almost impossible to persuade to make an account in a new application. Fleep keeps them connected.” – Timo H.
About Wizergos : Wizergos manage all the teamwork in one place and it’s accessible from anywhere, anytime, on any device. The software offers meeting and action item management for projects and operations which one improves project collaboration. You can also find team communication and knowledge management feature through the software. Wizergos provides ultimate features to improve team collaboration like discussion boards, document management and much more. “Has helped organize our meetings productively. Ability to set action items and log TAT’s. Ability to create MOM’s. Ability to record Decision votes.” – Sandeep B. About GoToMeeting : Professional meetings deserve the professional web meeting solution; GoToMeeting is video and web conferencing software for effective team collaboration. The user can connect with anyone, anywhere on any device through the software. The software also offers screen sharing, audio-conferencing, face-to-face collaboration environment features to the users. It’s simple, reliable and effective business collaboration platform for the users. “Good for holding remote meetings and screenshares. One you have the application installed it’s a fairly reliable way to hold meetings with remote people. Screensharing is generally reliable. The video features can cut out if you don’t have a rock solid connection. I love the automatic connection into Google Calendar.” – Chris V.
About I Done This : Track work progress and understand what your team is working on and stay in sync with I Done This; this is team progress tracking software where the user can get daily status updates, done work, not completed work update, progress report, and much more features. The business team can easily collaborate with I Done This software and increase their team productivity as well. The software offers centralized access to the team members for easy collaboration. An organized work yields better results than the other one. That’s why organizations focus on efficient management of files and information amongst employees for smooth functioning of the workflow. However, that’s difficult to bring it to action. It becomes extremely difficult to bring real-time working synchronism between workers when they work at a different geographical location on different timelines. That’s where the need for collaboration software comes into the picture. An online collaboration software application can help you stay on top of deliverables by offering various flexible collaboration solutions. It brings all your communication to one place thereby offering you better control over co-workers with ease. As it is extremely useful, most organizations prefer to have it. However, unless you know about its working procedure, features, benefits and best price in the market, you can’t be able to figure out which type of collaboration tools you are going to need for your organization actually. In this regard, this buyer’s guide will help you gain the essential knowledge supplements for sure. » What is Collaboration Software? » How does Collaboration Software work? » Is it worth investing money in Collaboration Software? » What are the features of Collaboration Software? » What are the Important Points to be remembered Before Choosing Collaboration Software? » How to Choose Best Collaboration Software? » How much Collaboration Software will cost? » What are the Best Collaboration Software in 2019? It’s a software application that helps in collaborating tasks of different individuals from an organization and streamlines them through new methodologies. For instance, it builds an effective communication channel through which members remain update on what is happening when in the working system on a real-time basis. Also, it facilitates for easy file sharing system through a robust document management system. Not just that it can also help any business effectively manage its content both for internal and external audiences. An ideal project collaboration software application can also help for keeping a track of upcoming meetings and events without putting much manual labour. A business collaboration software works in synchronization with many small internal application software dedicated to specific tasks such as internal communication system, file sharing, content creation, calendar management, document finder, etc. With all these collaboration platforms inside, it offers an enterprise-grade solution that boosts team performances. So it keeps all team members in synchronism, follow the progress and prioritize completions to improve the speed and efficiency of the overall workflow. In the current world of cut-throat competition, it has become imperative to work speedily and efficiently at the same time in order to remain ahead of your competitors. However, bringing the same into action is not that easy. You have to drain your complete energy towards the same and may miss focusing on expanding your business area. However, with a team collaboration software by your side, things will get easy for you automatically. It will help you streamline your workflow while you focus on other key business activities. In this regard, it is worth investing in money. Collaboration Software helps maintain the efficiency in communication, sharing, coordination, and co-operation of documents and files between companies and firms. These operations are aided by the various aspects of the software which come together to make the software a huge success in the market. Hence, to gain a deeper insight into the software’s working, let’s study the basic features of the software. To help team members maintain a well-connected sharing platform, the collaboration software is provided with numerous facilities and tools which aids in doing so. This is regulated via Email, voice, or video channels which are also facilitated with easy retrieval procedures. Hence, the circle members can stay updated in real-time while maintaining a healthy transfer of information and data. One of the most important features of the collaboration software is the file and document sharing option which enables streamlined transfer of various files and reports. Not only files, but media files like audio clips, images and in some software videos can also be easily shared between each other. The Collaboration software also helps in creating, publishing, and sharing of contents in different channels in an efficient way. The feature allows users to create more market and consumer-specific products and services, which thereby enhances the inflow of traffic into the company or business. The task of searching through old posts, contents, media, and documents has been streamlined, all thanks to the wonders of the online collaboration software. Previously the process which resulted in the wastage of valuable time has been simplified and can be completed within mere minutes, and in some cases, a few seconds are also enough. Remembering important dates, events, or bookings have been made easy since the online collaboration software was launched. This is generally done by combining every calendar you use into a single online collaboration software, which then performs the job on your behalf. This also leads to easy intimation processes to fellow colleagues or partners, as every involved person also gets notified about the event in real-time. Till now we have discussed the basics of the collaboration tools, but what about its benefits? You may have come across many sites depicting that hiring the collaboration tools can help improve your business within a day. But these are all myths. It is no doubt that the collaboration tools indeed have a myriad of benefits but they are not realized overnight. To gain a deeper insight into the topic, let’s study some of the common benefits of the software. As the online collaboration tools are hardwired to perform each and every task, it significantly reduces the wastage of time which was higher in the case of former methods. Similarly, reduces wastage of time and maximized profitable outputs at the same time also serves as an encouragement to the employees, motivating them to generate more customer-specific content. It also helps cut down expenses as well as tackles the need for human resources. A well-coordinated project is more successful in every aspect as all its operations are performed with good coordination among the employees. The online collaboration tools help in doing so by opening lines of communication between the partners or the employees. Using the various features of the software one can easily track and verify the ongoing processes of the business, which can also help in detecting unwanted threats in real time. It is not always easy to remember each and every task; this is where the enterprise collaboration software comes as a saviour. From listing out major tasks yet to be completed to arranging the list of tasks which are already completed, the software performs every task with 100% accuracy. Installing an enterprise collaboration software can be overwhelming, but it is not always the case. Without proper knowledge or exploration, if you are going for the software, it can also lead to a drastic loss to your company or business. To help you out, we have henceforth hand-listed some of the crucial points worth-remembering before choosing a collaboration software. 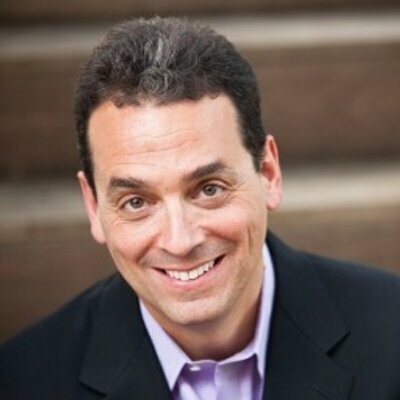 › Does your company really need the software? The software is popular among the masses because of its huge number of benefits which aids companies and businesses to perform day-to-day activities in complete ease. But, if the size of the company is too small or has just started and does not have many products and services, then it is highly advised not to move ahead with the software. At this time, one needs to give time for their businesses to grow so that their customers will have more than enough to remain hooked to what you have to offer. › How many Users will operate the software? The efficiency of an online business collaboration software is also decided by the number of users who will be operating the software. This is because while the number of software allows a fixed number of users which is usually low, others come with a larger user base allowing a large number of users to use the software. › What are the Company’s Requirements? As important is the choice of an online business collaboration software, similarly crucial are the requirements one needs the software to fulfil. Furthermore, noting down the requirements can also minimize the hard work required for going through the huge heaps of software in the market. This also increases the chance of landing with the perfect software for your company without much head churning. › How much is your budget limit? There is no wonder that the pricing plans of the software differ from one another mostly due to various reasons, such as facilities and tools availed, the duration for which the software has been subscribed, and more. Hence, it is always highly advisable to estimate one’s own budget beforehand which can narrow down the list of choices leaving you a few perfect options behind. With the availability of so many choices, one can become easily intimidated or confused when it comes to finding out the best option for the company or business. Hence, in this list, we have hand-listed some of the essential points one should remember so as to get the best project collaboration software. Will it not be satisfying if the project collaboration software you installed is compatible with the other extra tools you already have? The answer will be definitely a big yes. Hence, while going for the software always be sure to check the software’s compatibility with the tools you already have to be on the safe side. Many project collaboration software are provided with a user-friendly interface which lets them work with the software with utmost feasibility. This is because the simplicity eradicates the need for having the prior technical knowledge or coding skills required for operating the software. A good business collaboration software comes with 24/7 customer support which excels in providing instant customer-specific solutions. This acts by serving as an extra layer which enhances the trust of the customers over the product as well as the company. One more added benefits is when the business collaboration software provides multi-platform accessibility, that is, can be accessed through smartphones, laptops, and tablets. This helps the users to stay updated on the real-time analytics and reporting status of the products. While choosing the best team collaboration software, the reviews or comments left over by the previous customers can also prove beneficial when it comes to differentiating what the company says and what is actually being offered. Moreover, the total number of service requests and their frequency can also help separate the good ones from the bad ones. The lowest pricing structure of the team collaboration software starts from $9/month and can reach to an estimated high of $299/month depending upon the facilities and tools availed by the consumer. However, many collaboration software also allow users to avail ‘pay-as-you-go’ feature which allows further installations of extra tools after paying the basic fee of the software. Although, almost all software help in maximizing gains, choosing the free basic version is often advised. This is because it eliminates the risk of fraudulent activities. Afterward, if interested one can subscribe to the premium version of the software after it successfully fulfils each and every requirement of the company in the trial version. As of now, you must have understood well how to judge an enterprise collaboration software application well by looking at its features, price and possible benefits on your organization. However as we saw the price of the software goes on increasing with added features and number of users, you may have to set aside a sizable budget for buying elite level online business collaboration software for your organization. With that being said, it is advisable not to make any decision in a rush. Take your time to analyze the software with a free trial offer and weigh its pros and cons in order to be able to make an easy decision.